Q: How long does the flight from Hong Kong to Shanghai take? A: The flight time from Hong Kong to Shanghai is about 2.5 hours. Q: How much does the Shanghai (PVG) to Hong Kong (HKG) flight cost? A: The PVG to HKG flight usually costs CNY 1,200 - 2,500 for an economy class ticket, and the price of the first class ticket is CNY 3,500 - 4,500. Q: How long is the Hong Kong to Shanghai flight route? A: The distance of the Hong Kong to Shanghai flight is 1,308 km (813 mi). Q: Which airlines operate flights from Shanghai to Hong Kong International Airport? A: China Eastern Airlines, China Southern Airlines, Spring Airlines, Shanghai Airlines, Air China, Cathay Dragon and Cathay Pacific and many other airlines operate flights from Shanghai Pudong International Airport (PVG)/ Shanghai Hongqiao International Airport (SHA) to Hong Kong International Airport (HKG). Q: How to find cheap flights from Hong Kong (HKG) to Shanghai (SHA)? A: The price of the international air tickets change from time to time, so we recommend our passengers to check the price 3 months before departure to increase the opportunity of getting a ticket with high discount. And normally, the tickets of the flights operated late at night or early in the morning enjoy higher discount. In addition, passengers can order the flights operated by no frill airlines, whose tickets are a lot cheaper than tickets sold by other airlines, but the they often don’t provide in-flight meals and the luggage allowance is also very little. Another option is the combination of high speed trains and flights. Hong Kong, Guangzhou and Shenzhen will be connected by frequent high speed trains, which make the transfer between the 3 cities very convenient. Passengers can get to Guangzhou or Shenzhen first by high speed train, then take a domestic flight to Shanghai. Don’t hesitate to book the air ticket when you find its price around CNY 1,000, it is a real bargain. However, if you fail to find the air ticket with good discount or the price is over your budget, high speed train can be a good choice. 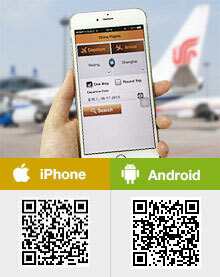 Is there any direct transport from Shenzhen Airport to Hong Kong Airport? Yes, the shuttle bus offered by the airport, the ticket price is CNY180 per person, one way. There should be also ferry between, 10:15am and 13:15pm every day. I think it should be 20kg for checked luggage in total (count in weight, not numbers), the total length of dimensions should be less than 158cm. The carry-on luggage should be 5kh, within 115cm. It would be better if you confirm this with the airline or the wensite you used for ticket booking directly. I will arrive to Shanghai Pudong Airport (PVG) on 12/28 around 8pm, and need to catch another airplane at Hongqiao (SHA) next day 12/29 8:30am to Hong Kong. Is the China Eastern Airline provide free airport shuttle bus? and free overnight hotel since the layover time is 13 hours? Thanks. I read online that they only sale this combined service via some appointed airline local office, but do not have details and do not find out how to buy it. It seems if you booked the tickets online, you cannot apply for the service. I will arrive to PVG on 12/28 at 7:25pm, and need to catch another airplane at SHA 12/29 8:30am to Hong Kong. What is the best route to transfer from PVG to SHA? Do I need to carry all my luggages when transfer? If I want to stop by Shanghai city, what kind of transportation I can easily access from the city to the SHA? The airport shuttle bus is very convenient for transfering between these two airports. You need to take all your luggage by yourself. You could take the airport shuttle bus to Hongqiao airport, and stay there for one night in a hotel to catch your next mornning flight. No matter you go by rail or flight, the pet needs quarantine to transfer from HK to Shanghai. If possible, it is not advisable to have your pet with you. There are strict limitation ofr pet transfer in China, like rail, air or even bus and metro. It could be a hard time for your pet.